To streamline the performance measurement process, SAA utilizes our analytical platform InsurerCIO. InsurerCIO generates in-depth reports and analyses, ranging from asset allocation to OTTI, to correctly review your portfolio and measure your manager’s performance. Access to InsurerCIO is provided to all SAA clients. If you'd like to utilize the InsurerCIO analytical platform, please contact us to request a demo. InsurerCIO will help your insurer understand the ‘whys?’ behind performance and review your portfolio from the perspective of required income, benchmark, risk adjusted, after tax and after fee returns. Fixed income portfolio credit rating allocation by sector, quarterly over the last six years. This can also be viewed in a summarized version. Insurers tend to make changes to their portfolio slowly from quarter to quarter, keeping in mind realized gain or loss limits, etc. However this report allows you to see trends over a longer term horizon, since small changes over a long period of time can equate to very large changes. 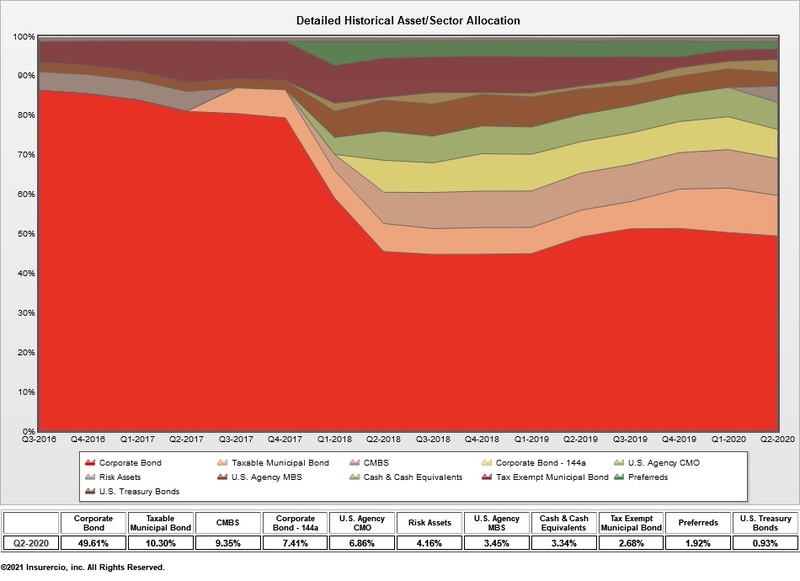 Fixed income portfolio asset allocation by sector over the last six years. 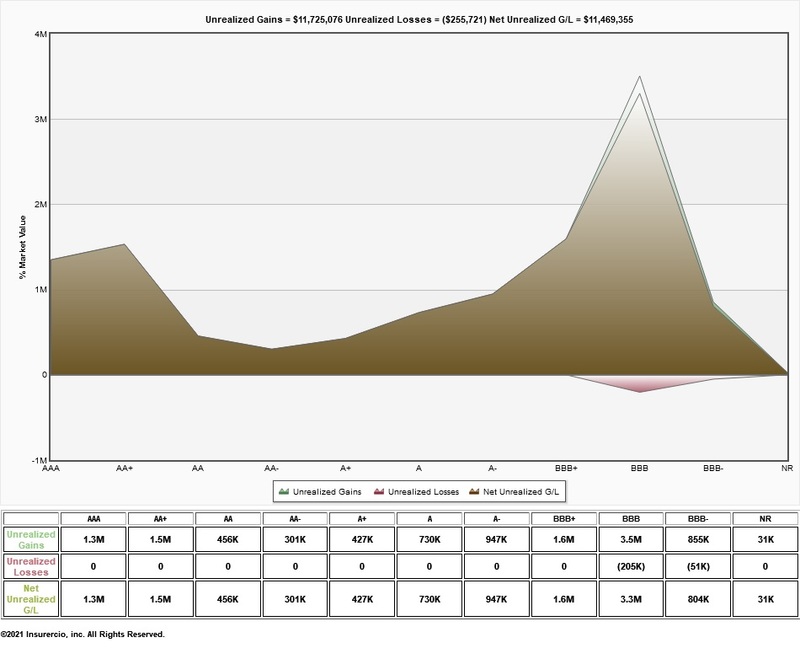 This chart can be viewed in either a detailed or summarized version. Did you know that the credit rating agencies provide the same rating for a given issuer, irrespective of the maturity of its bond? With that in mind, this graph combines credit and interest rate risk. Combining credit and interest rate risk simultaneously can be problematical. If duration increases as credit risk increases (an upward sloping line) the portfolio is indeed combining credit and interest rate risk simultaneously. Using long term Moody’s default factors we find that the default probability increases in much greater than a linear way. By re-weighting each bond’s probability of default using those factors and then determining the average credit quality, we get a better idea of the portfolio’s “true” average credit rating. We believe it is important to correctly calculate such ‘minimum’ average credit rating and/or at least be aware of the difficulties in accepting the linear approach found in nearly all investment reporting systems. Portfolio book yield over time. In a low rate environment, where market yields on new purchases are below portfolio book yield, an ongoing decline in book yield is expected. But, how far has it changed over time? 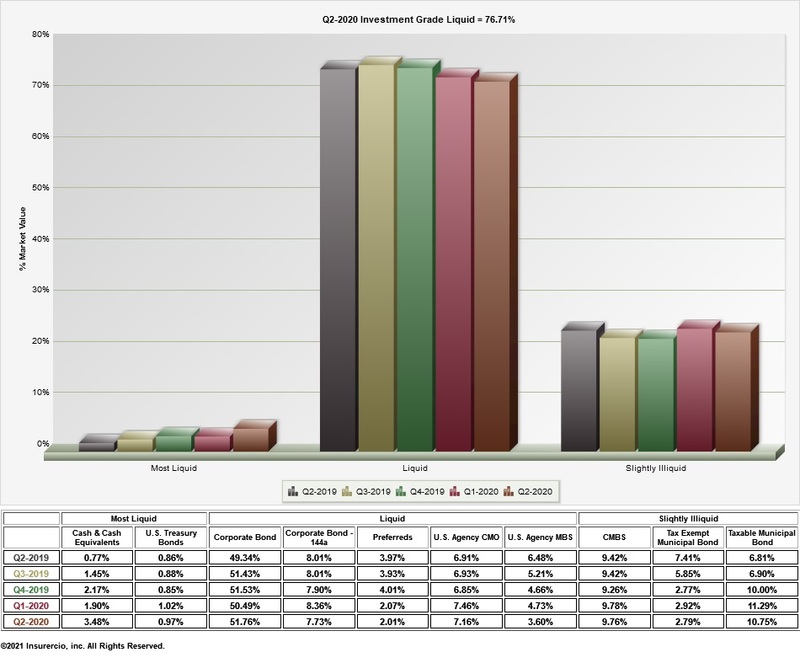 Fixed income portfolio asset allocation over the last five quarters. Behind every fixed income portfolio is an allocation amongst similar, yet different, asset classes. Insurers tend to have portfolios tilted more towards ‘spread’ sectors and away from lower yielding US Treasuries and Agencies. This report allows you to see trends in the mix of sectors over the last five quarters. Change in fixed income portfolio asset allocation from the prior quarter. Major changes in fixed income portfolio asset allocation are spotted quickly by reviewing this graph. 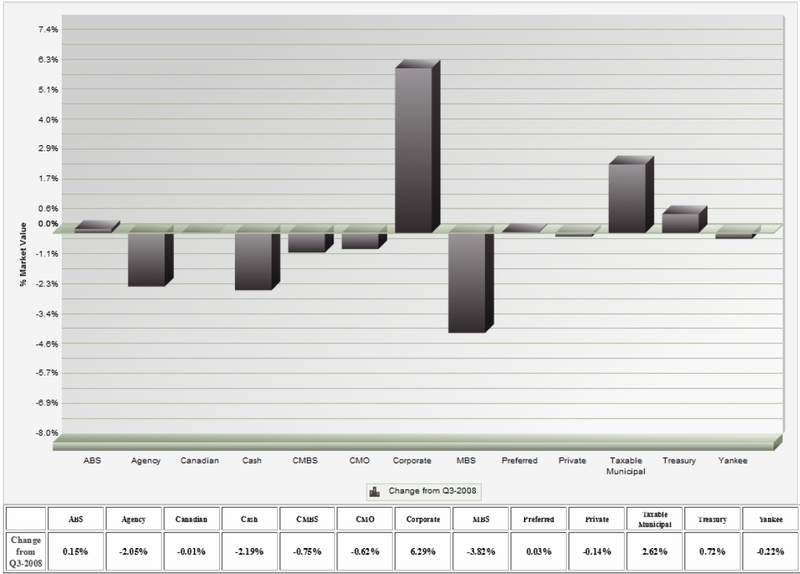 Percentage of the fixed income portfolio invested in any given detailed credit rating over the last five quarters. One of the most important decisions in fixed income portfolio construction is its exposure to credit risk. 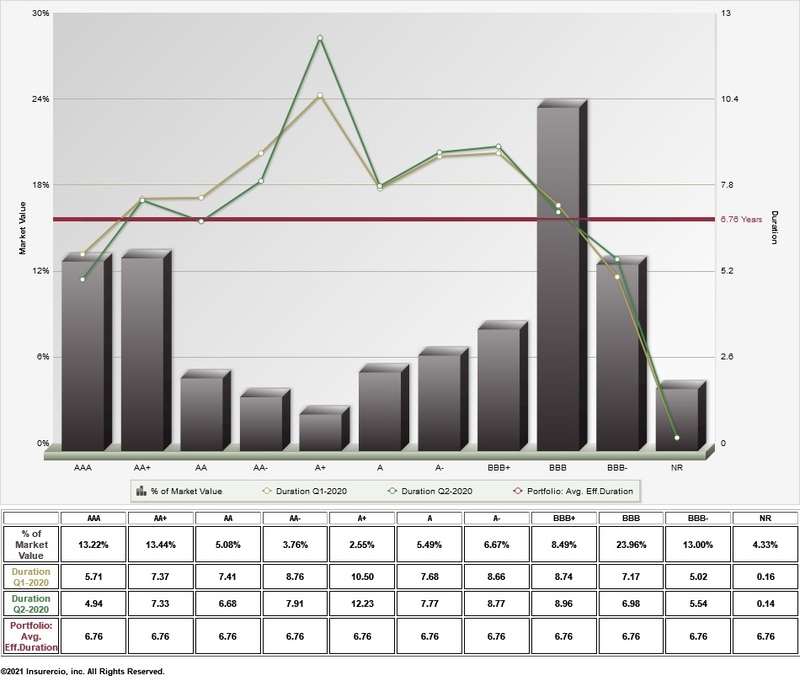 This report allows you to see trends in this allocation over the last five quarters. Percentage of the fixed income portfolio invested in any given summarized credit rating over the last five quarters. The Securities Valuation Office (SVO) of the National Association of Insurance Commissioners (NAIC) requires that US insurer fixed income investments have an SVO credit rating, ranging from 1 to 6. 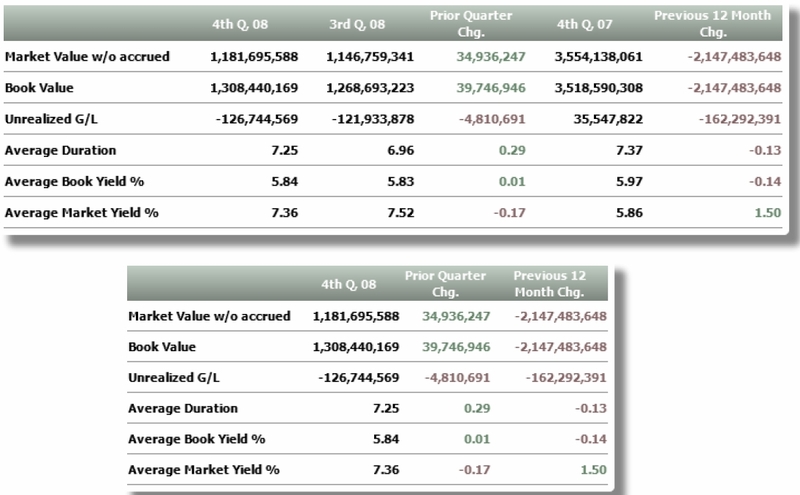 This report uses that table to imply the correct SVO rating for each security in the fixed income portfolio; and then show the percentage of the fixed income portfolio invested in any given SVO rating over the last five quarters. This report allows you to see trends in this allocation over the last five quarters, as would be seen through the ‘eyes’ of the SVO. 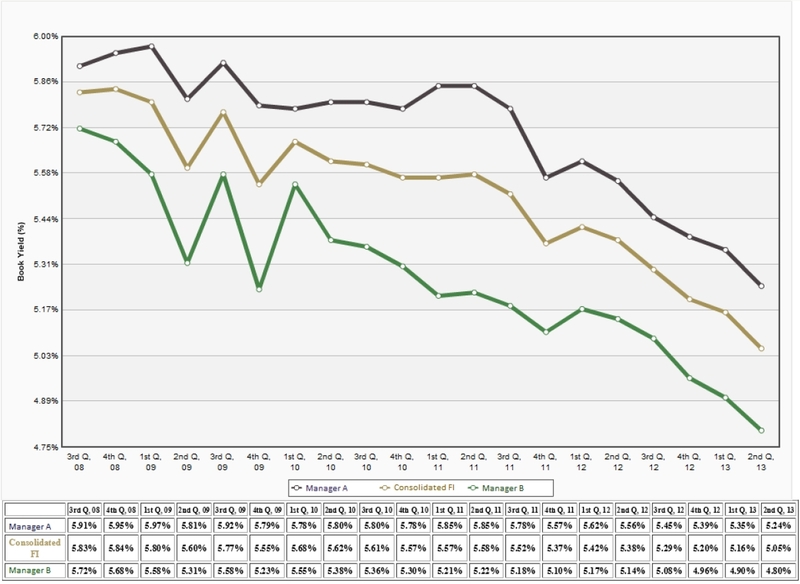 Duration Profile shows places the bonds in the portfolio into six pre-determined duration buckets. Duration Attribution is calculated by multiplying the average duration in a given bucket by the market value (market allocation) and then dividing that result by the multiplication of the portfolio’s market value by its average duration. We know the portfolio’s average duration, but how are the bonds that make up that duration determining how we get that average duration? Knowing where duration is occurring can provide a better understanding on how sensitive the portfolio may be to changes in the shape of the yield curve. The top ten largest individual securities held in the portfolio, their respective market values, how much of the overall portfolio they are, their book value, credit rating, duration and maturity. The table also sums these top ten exposures and compares that total to portfolio market value. 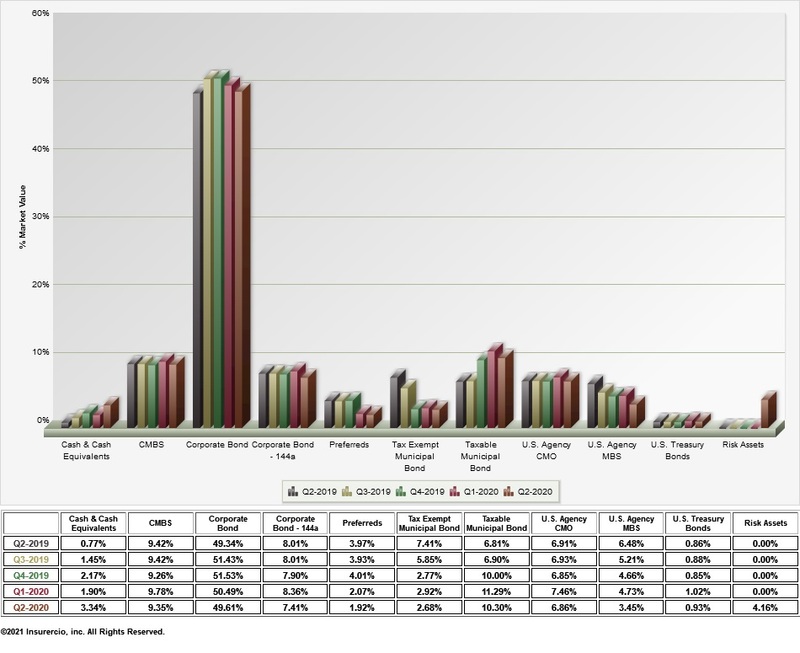 This table provides a glimpse at which bonds are the largest in the portfolio and, thus, provides an idea of what degree the portfolio is diversified. What are gross unrealized gains and losses, as well as net gains or losses for bonds in various credit rating categories. If gains or losses are unusually large for a given credit rating, it may be worthwhile to determine the source of such gains or losses. Changes from the prior quarter and year in market value, book value, unrealized gain (loss), duration, book yield and market yield. When viewed over a longer period, like a year, changes in duration will reveal the portfolio’s increased or decreased interest rate risk, while changes in book yield will ultimately impact investment income and bottom line profitability. This graph arbitrarily places certain asset classes in three basic liquidity buckets: Most Liquid, Liquid and Slightly Liquid. It compares this approach over the five most recent quarters. This approach attempts to raise the issue and be a starting point for discussions, especially as there are major changes over time or if the portfolio appears to be too liquid or not liquid enough based upon this very initial view. Other than temporary impairment (OTTI) usually occurs when a security’s fair market value is below 80% of book value for a consecutive six months or more. 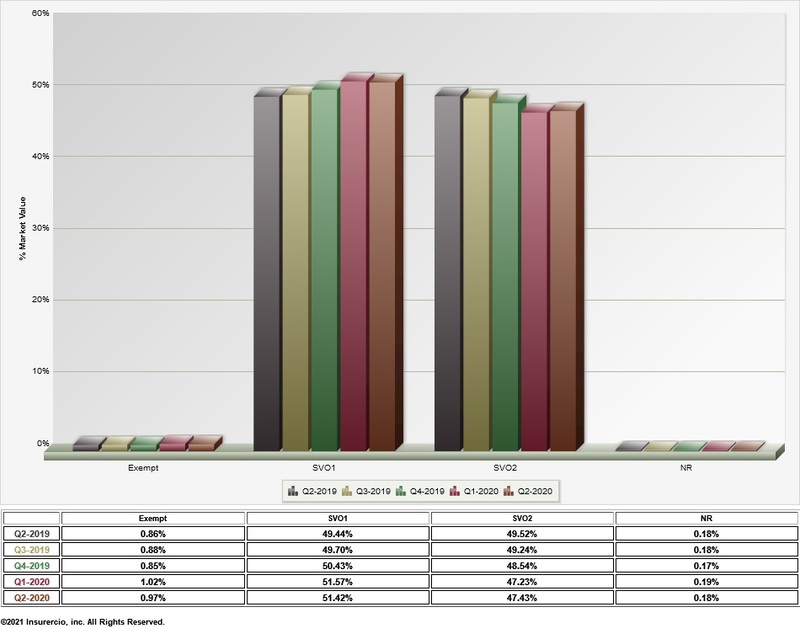 However, this report screens for securities below 90% of book value, color coding the amount of book to market value percentage depending upon how serious the value drop is. This report serves as an ‘early warning’ for such securities, as it screens for securities that are valued below 90% of book, showing key statistics including book value, unrealized loss, duration, book yield and credit rating. These are just a few of the important questions you should be asking your investment manager(s) as you discuss your investment process, using InsurerCIO's reports as a starting point for discussions. Additionally, a key issue of good corporate governance is the monitoring of investment manager performance by an independent third party. Many investment managers have high investment flexibility that provides an opportunity for improved investment income and return, but also increased risk. These questions will help keep your manager focused on your insurer's investment goals. 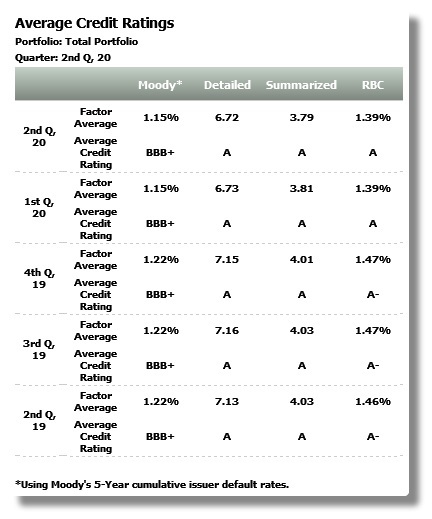 o Are you combining credit and interest rate risk within a given credit rating? o Do you think we're being compensated for the portfolio credit risk we are taking? 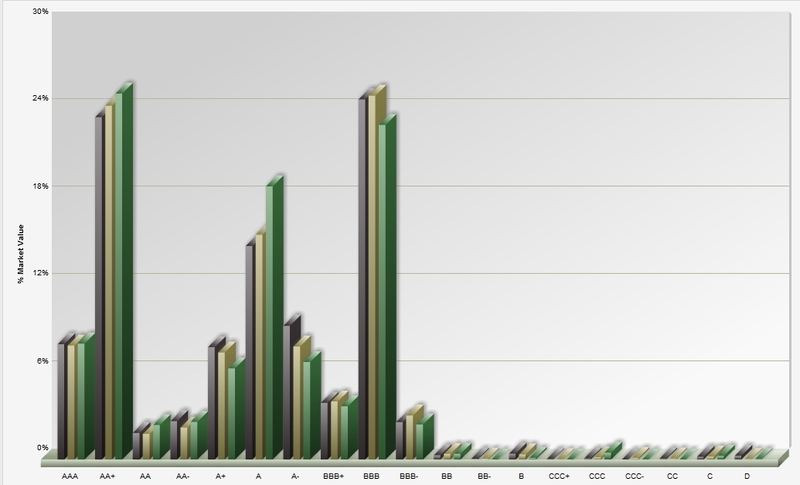 o Why did our book yield trend in the manner shown on the graph? o Why did a given asset class increase or decrease over time? 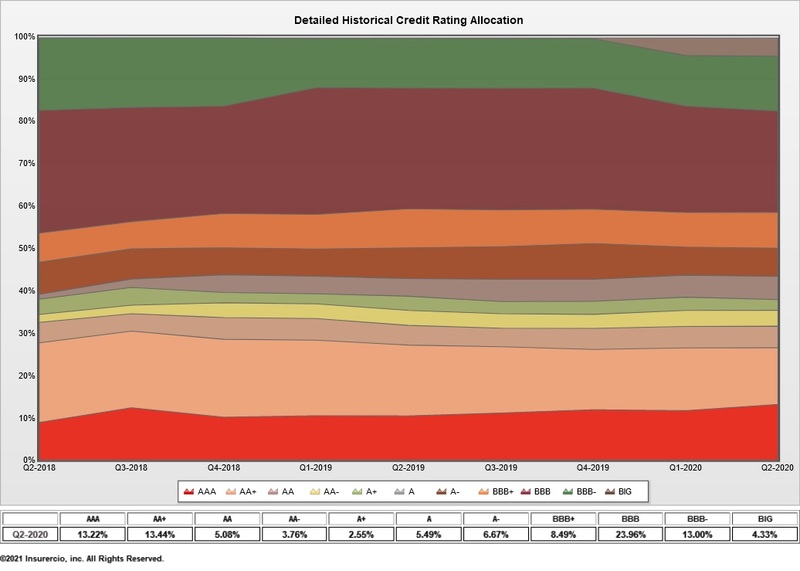 o Why did a given credit rating category increase? Determine why the manager is or is not beating the benchmark. What is more important is understanding how the manager is achieving your company’s goals. SAA utilizes InsurerCIO to help you stay focused on the three most important factors: Performance, performance and performance. Where Does Your Insurer Fall on this Objective Continuum and Why? o If book income is the goal, this should be factored into the analysis of performance. o Performance should be adjusted for risk, fees and taxes if applicable. 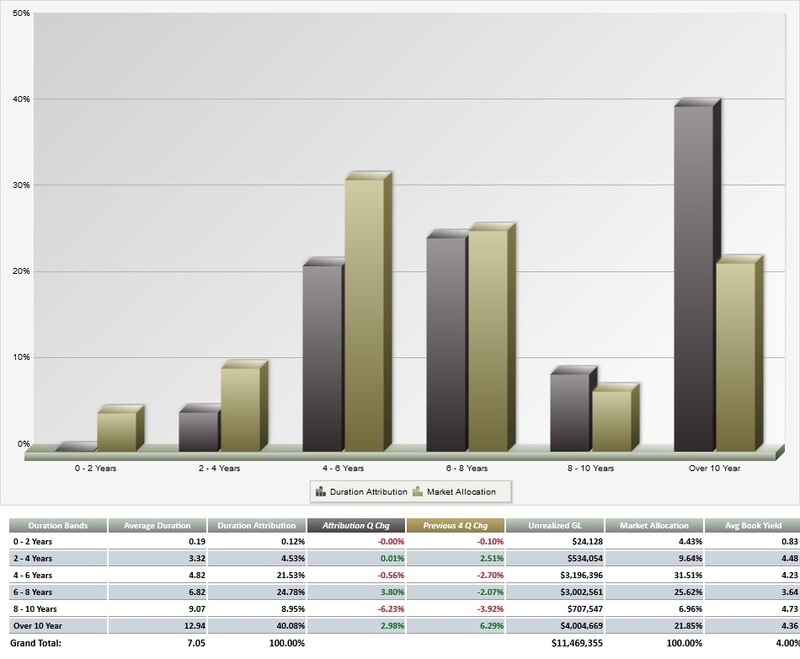 o Performance should be analyzed to determine why the portfolio performed as it did. o Is the manager and overall portfolio performing as expected? 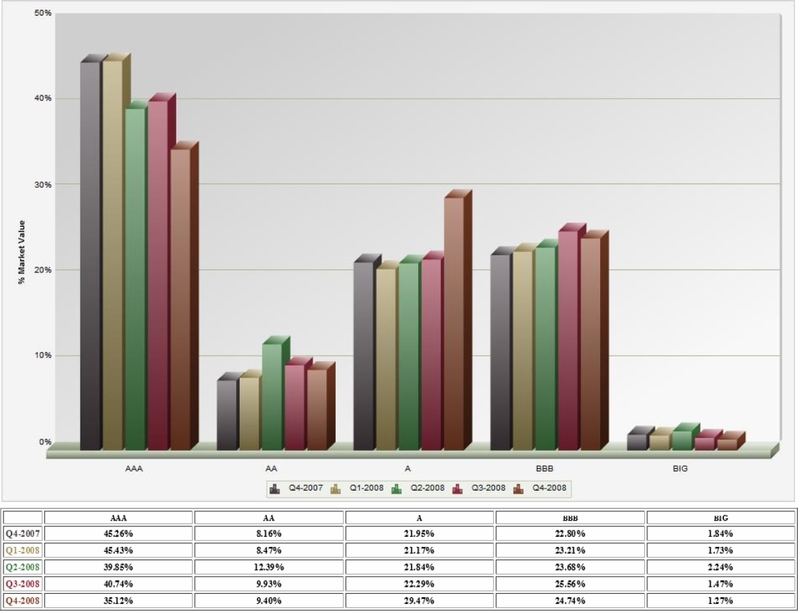 InsurerCIO provides a Peer Group Analysis looking at financial results and investment portfolio composition in comparison with selected peer companies. This Peer Group Analysis is provided to all Members, and utilized by Strategic Asset Alliance in creating peer analyses for their clients. 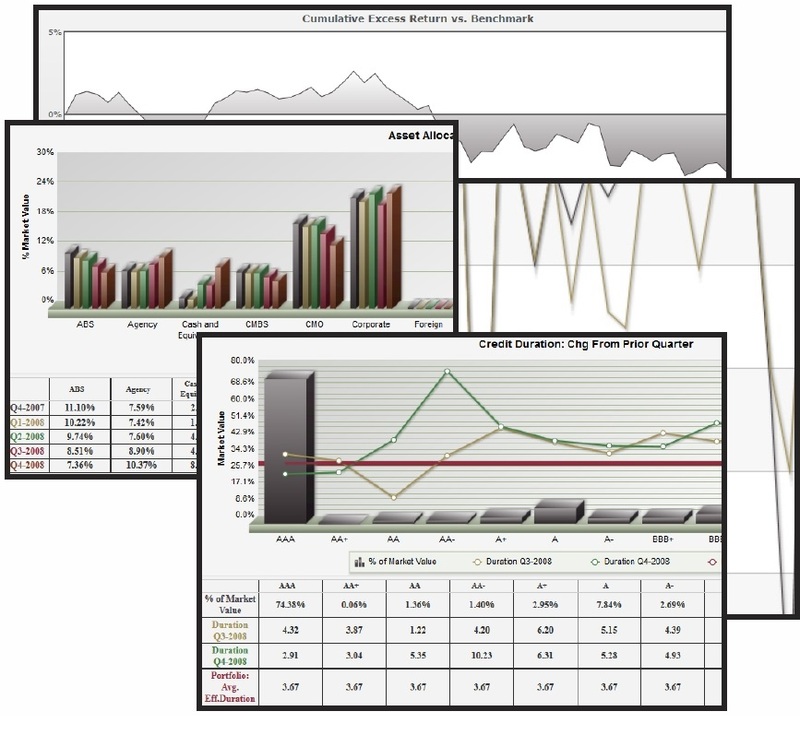 Click here to request a complimentary Peer Group Analysis. 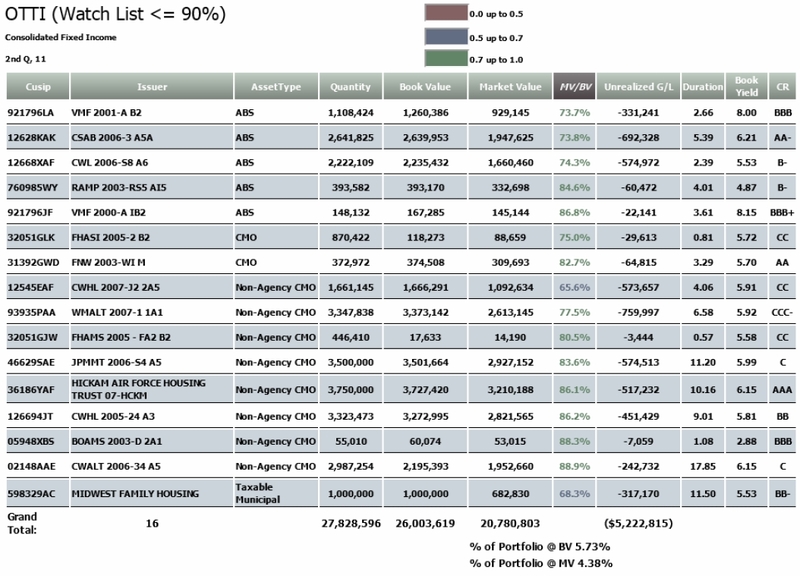 o How have peers structured their investment portfolios? o How do peers compare to what we have done? o Are they using strategies, tactics or ideas we should consider?